Indian plain cotton shirt, size 5XL, short sleeves, dark green. 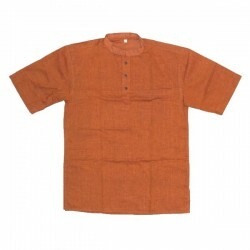 Beautiful Indian dark green cotton shirt, short sleeves, Mao collar, 3 small coconut buttons and a small pocket on the front. 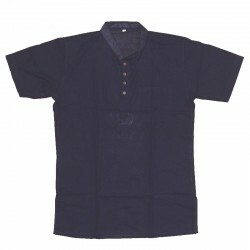 Elegant and casual in a same time, it is made in a high quality cotton. The colors may vary slightly.